no its a dog wearing a mask..
Also if we remove it looks like Awesome face. No, it's a dog mask, stupid. Dog masks are for real ducks that aren't Pokémon. for the last ******* time its a dog mask! no its an asian dog wearing a mask..
Its disguised epic face wearing a dog maske! 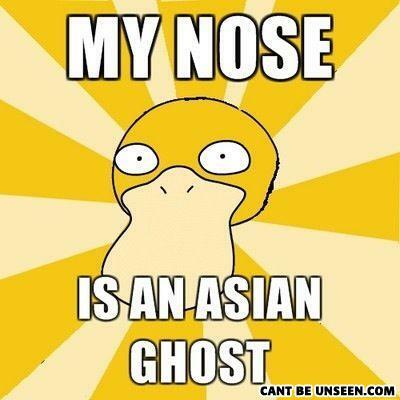 It's a dog disguised as a ghost disguised as a duck!! No its an chinese outlet ghost!